Pinterest is a major social media channel. 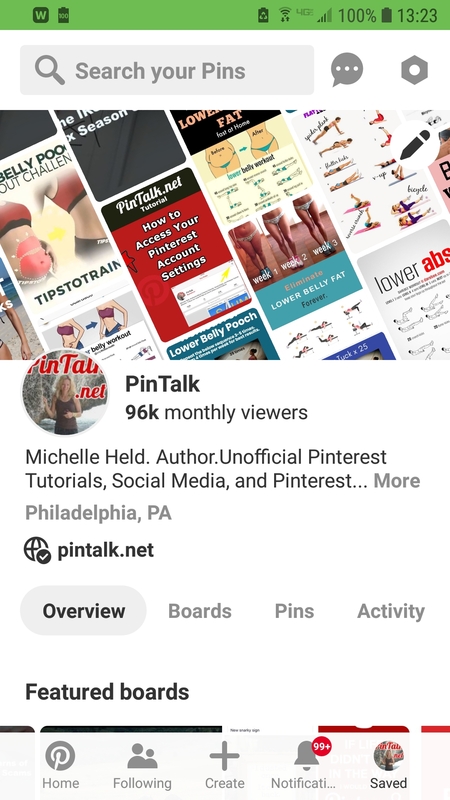 Brands, influencers, and bloggers all use Pinterest to bring more visibility to their products, increase website traffic, and selling online. Pinterest offers free business accounts to all users who have a website. Pinterest business accounts have free analytics, a link back to the associated website, and access to Promoted Pins which is Pinterest ’s paid advertising. Analytics are helpful for understanding your audience and what type of content resonates with them. 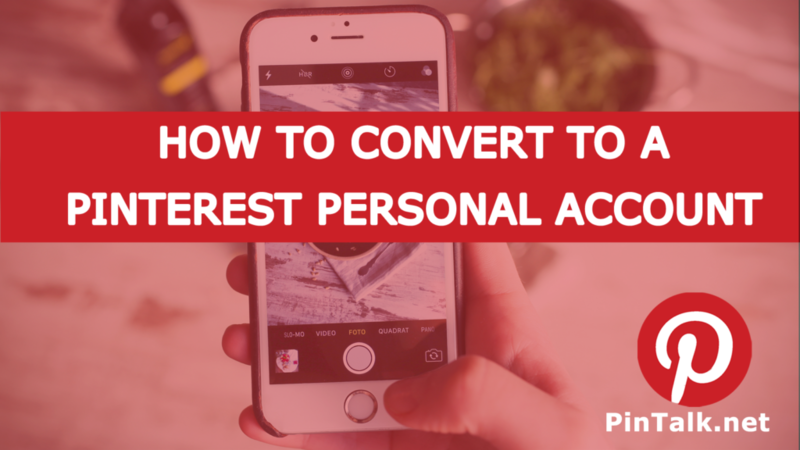 Many of Pinterest’s best features are available only to business accounts. Instagram, YouTube, and Etsy accounts can all be linked to Pinterest too. 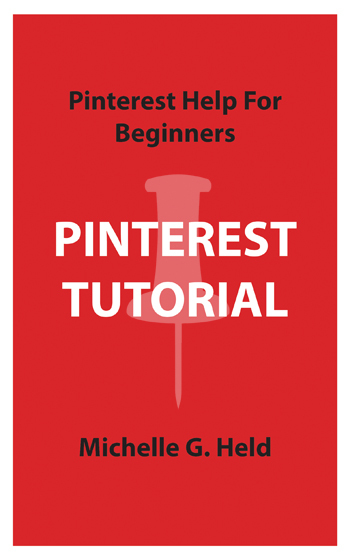 However, there may be a need to revert a Pinterest business account back to a personal account. Just last week I spoke with someone who was starting a new business. He wanted to know if he should represent the business on social media as himself or a brand. In his case, he should be both. The new business will be about lifestyle advice for men. So, he will need social media accounts for himself and the brand. This is a matter or time and budget too. If he has the resources, as a startup, to manage both types of accounts that is going to owkr well for him. 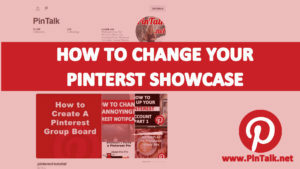 Why Change to a Personal Pinterest? 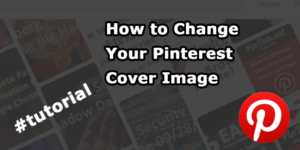 Sometimes Pinterest users want or need to change back to a personal account. There are significant differences between personal and business accounts. Closing down a business is the biggest reason someone might need to change a Pinterest business account to a personal account. 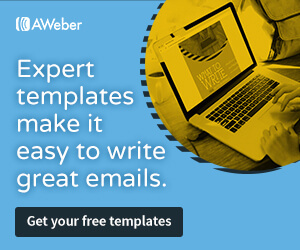 Business accounts must have a website verified with a Pinterest account. It’s possible that the website needs to be transferred to another Pinterest. For example, if the business was sold the new owners will need to associate the website with their own Pinterest. 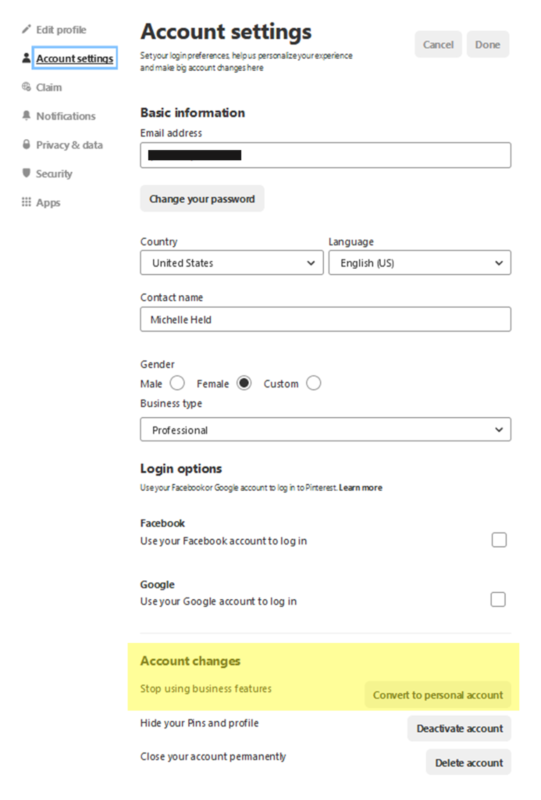 To remove a website from Pinterest, the website must be converted back to a personal account. Pinterest has other new features that are great for businesses. 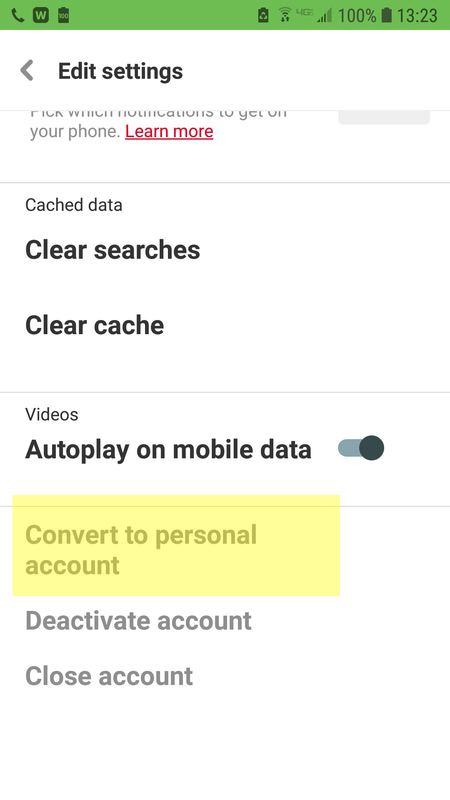 Accounts can be connected to users’ YouTube, Etsy, and Instagram accounts. This adds attribution for posts on those accounts bringing more reach and increasing return on investment (ROI.) This is especially important with videos as achieving better ROI is important. 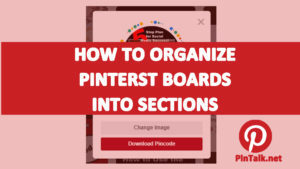 Pinterest is a highly visual social media channel sometimes called an online scrapbook. Popular Pinterest topics include home decor, food, beauty, and fashion. The over 150 million Pinterest users are likely to be in shopping mode when saving Pins. 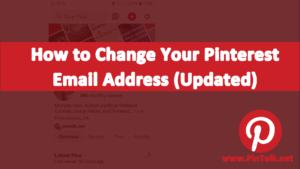 Remember that if you revert to a personal account, you will lose the use of Pinterest business features. This includes the advertising platform and follower analytics.